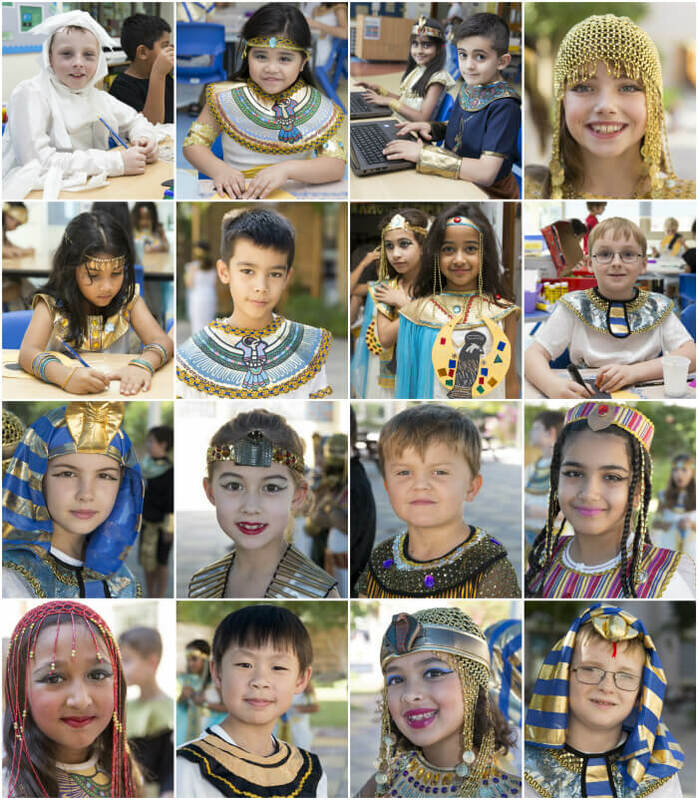 As the culmination of their studies into life in Ancient Egypt, the Year 3 children enjoyed a fantastic array of activities on the 4 November. The children and staff looked fantastic in their beautiful costumes related to the period. Mummies, Pharaohs, Gods and Goddesses were all in attendance. A wonderful feast was eagerly consumed along the length of the Activity Street and a series of topic related activities were performed in each classroom. These included making hieroglyphic bookmarks, Ancient Egyptian necklaces and waging war against the rampaging Hittite army! A rewarding, invigorating and enjoyable time was experienced by all the children.